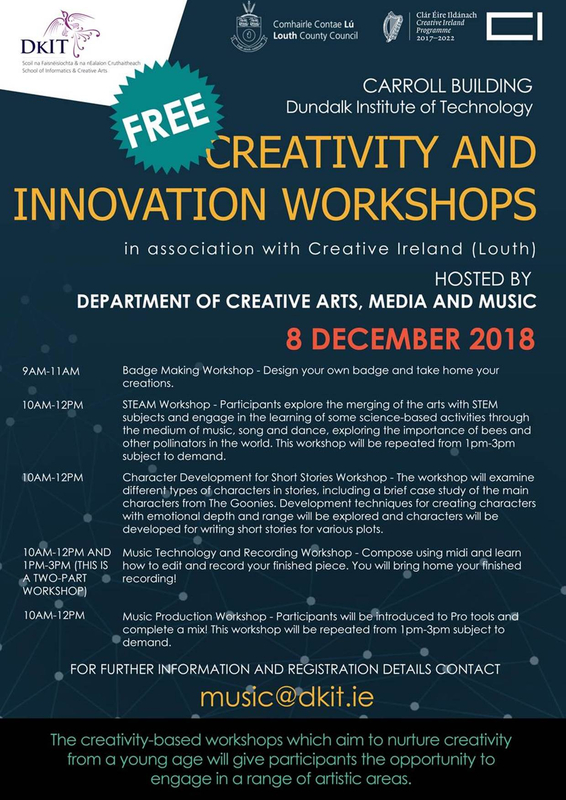 DKIT Department of Creative Arts, Media and Music are hosting a series of FREE Creativity and Innovation workshops on December 8th. The workshops are open to young people between the age of 10 and 18. Booking is essential as places are limited. Contact music@dkit.ie to register. More details can be found on the attached flyer.